As tough as it may seem to deal with trolls, there is a way to do it with grace. Just keep your cool. Use humor, facts and kindness in responding to trolls, and you’ll make your community a safe and fun place for everyone. 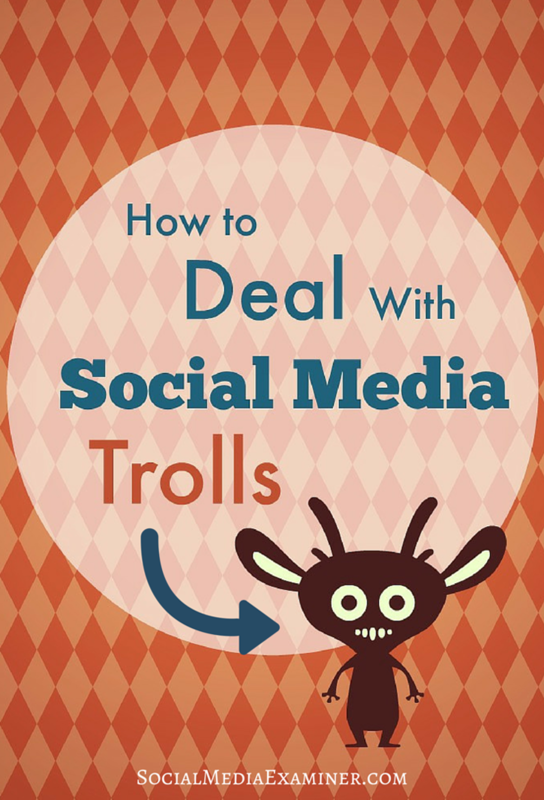 When it comes to dealing with trolls, knowledge of your online space is key. Here are tips on how to protect your online community. 1. Be an active member of your community. Closely monitor the conversations of your followers and fans on your social media channels. That way you can step in if trolling or bullying becomes a problem. Read all of your comments so you know the context and can respond appropriately. 2. Set boundaries. If you have a troll problem or want to make sure you don’t run into one, set guidelines for your community to manage expectations.Post online etiquette in a visible place on your social channels or share a link to a blog post on the subject. Guidelines should be reasonable (for example: no abusive language, no harmful remarks, no bullying), but not too harsh. Also, let your community know what will happen to people who cross the line. Will you delete their comments? Ban the user? The goal isn’t to completely obliterate all negative comments, it’s to make the community a safe place for your fans. 3. Always be nice. Treat all your fans, followers and trolls kindly. Behind every troll lies a real, breathing person who has feelings. In most cases trolls are looking for a reaction. Just keep your cool when the going gets tough.